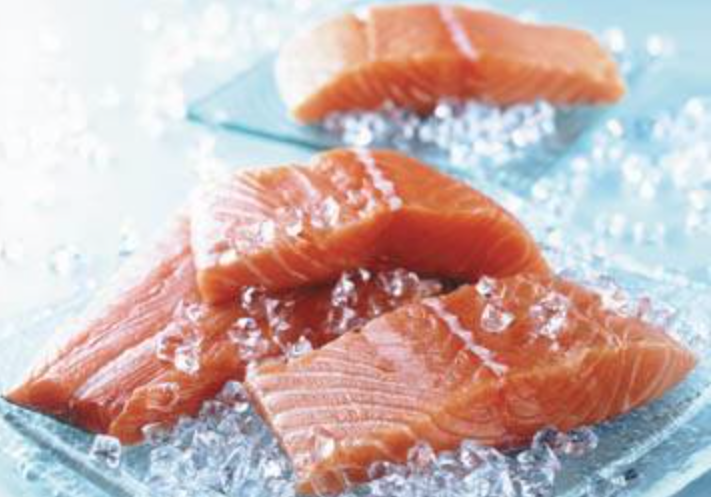 The export of Scottish salmon fillets to the US could be hit by tariffs. THE SCOTTISH salmon industry is anxiously watching developments after the United States considered imposing trade tariffs on EU imports in retaliation against Airbus subsidies. Fresh and chilled salmon fillets, but also frozen crabmeat and many cheeses, are on a list of goods published by the US government. A spokeswoman for the Scottish Salmon Producers’ Organisation (SSPO) said: “We are aware that the US is considering imposing tariffs on certain goods from the EU. “We are seeking clarification on the products, possible tariffs and the timeframe for bringing the tariffs forward so we can assess the implications of any such move on the farming sector and its supply chain. ALMOST 350 households in Gulberwick lost power on Monday afternoon after a fault developed in Scottish & Southern Energy’s high voltage network. A spokeswoman said that 344 customers lost their electricity supply at 3.45pm and were reconnected in stages. “Two hundred and forty customers were restored by 4.10pm, a further eight at 4.35pm, a further 50 by 5.30pm and the remaining eleven customers were connected by 7.00pm,” she said. SCOTTISH transport secretary Michael Matheson has been accused of putting concerns over no-deal Brexit arrangements for seafood exports above the needs of island communities. Shetland seafood industry leaders have repeatedly warned that jobs and growth objectives were at risk from the Scottish Government’s failure to take account of freight capacity issues in the tender documents for the next Northern Isles ferry contract. Sheila Keith of Shetland Fishermen’s Association said on Tuesday: “Only six months ago, seafood shipments worth over £2 million had to be left on the pier in Lerwick as a result of inadequate freight capacity. 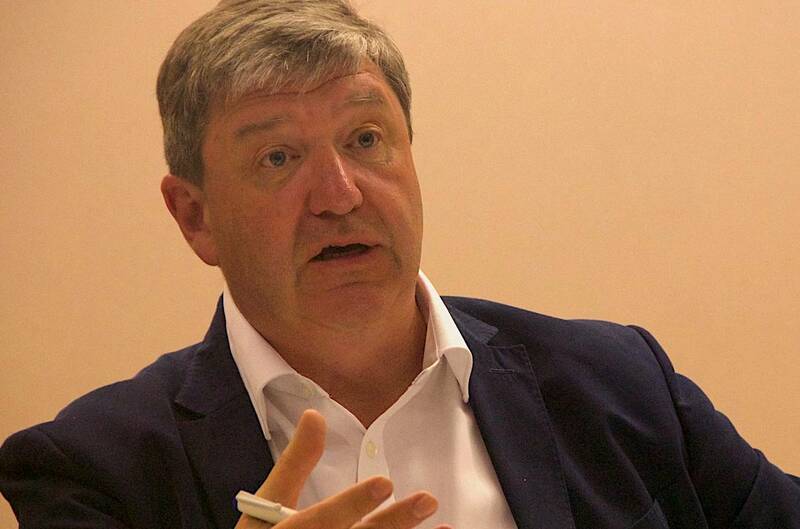 “It’s ironic that Transport Scotland is flagging up legitimate concerns over no-deal ferry links with Europe, but is falling down so spectacularly on ferry links between Shetland and mainland Scotland. MEANWHILE, Northern Isles MP Alistair Carmichael has described suggestions by the UK Government that cover crew shortages in the fishing industry could be filled by young people on gap years as “an insult”. The Lib Dem MP said: “According to the Migration Advisory Committee, the answer to the crew shortages in our fishing ports is to crew boats using New Zealanders and Australians on a gap year. I just wonder what world these people live in? “Skippers have been telling ministers for years now that we need skilled deckhands from outside the EU to fill the gaps in the labour market. SHETLAND Arts is taking over the retail space in the Sumburgh Airport terminal building for a pop-up outlet this summer. Showcasing the work of some of Shetland’s most popular contemporary craft people, and inspired by the ShetlandMade exhibitions at Bonhoga Gallery, the space will also be used as a box office for Shetland Arts events. This will include work from local jewellers such as Esme Wilcock and Jayne Kelly, textiles from Joanna Hunter, Margaret Hamilton and Nielanell, woodwork from Paparwark, ceramics from The Pottery, North Roe, glassware from Glansin Glass and a selection of prints and cards from Ruth Brownlee. New NHS board member Lincoln Carroll. 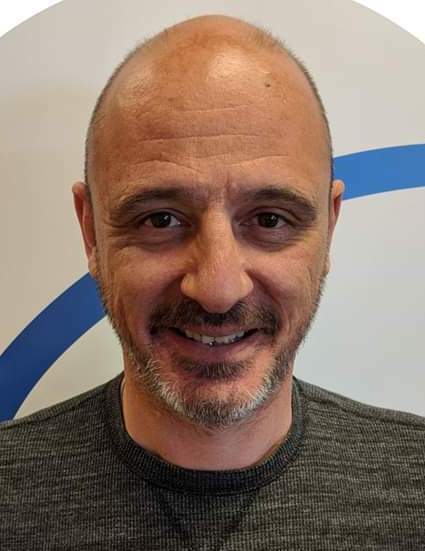 LINCOLN Carroll, the project co-ordinator of the Moving On Employment Project, has been appointed as a non-executive board member of NHS Shetland. Chairman Gary Robinson said he was delighted to welcome Mr Carroll on to the board and that he looked forward to building a strong working relationship over the next four years, and possibly beyond that. “Lincoln brings extensive experience of both the voluntary sector and social work that will enable him to make a valuable contribution to many aspects of the board’s business,” he said. Carroll’s appointment will run from 1 April this year to 31 March 2023. The next meeting of the NHS Shetland board, meanwhile, will take place on 16 April in the Bressay Room at Montfield in Lerwick. 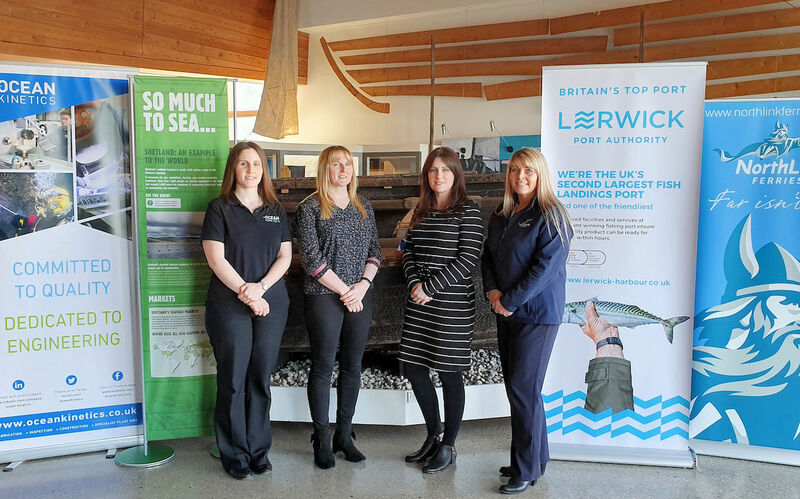 Representatives of the main sponsors (from left to right): Gemma Pearce (Ocean Kinetics), Sheila Keith (So Much to Sea), Melanie Henderson (Lerwick Port Authority) and Jane Leask (Serco NorthLink). SHETLAND Amenity Trust has announced Ocean Kinetics, Serco NorthLink, Lerwick Port Authority and seafood marketing campaign So Much To Sea as the main sponsors for this year’s Shetland Boat Week. The annual maritime celebration is now in its fourth year, and it will be held from 5 to 11 August. Amenity trust chairwoman Ruth Mackenzie said: “There is no other event which caters for the maritime traditions in this way and the support we receive from our sponsors is greatly appreciated. Organisers are still keen to hear from anyone who has a traditional Shetland model boat they would like to submit for the outdoor display at Hay’s Dock in August.